2018 has been an exciting year for SSF, with our important work recognised both nationally and internationally. 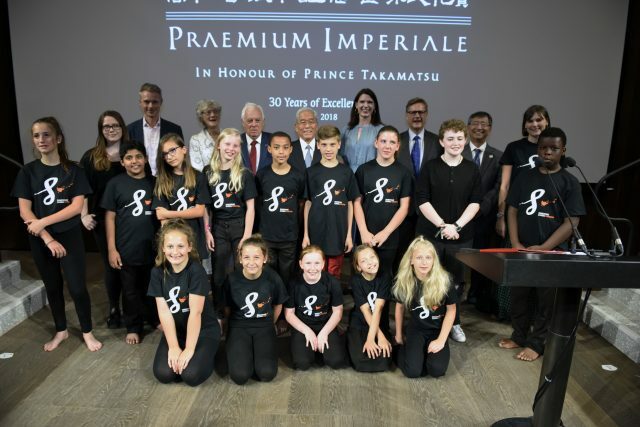 We have received prizes for our fundraising, our high-quality curriculum products and most recently, were awarded with the prestigious Praemium Imperiale's Grant for Young Artists. The Praemium Imperiale is a major international art prize awarded annually by the Japan Art Association, Japan’s oldest cultural foundation. The awards are often described as the equivalent of the Nobel Prizes, but for the arts. It is awarded in honour of His Imperial Highness Prince Takamatsu who was renowned for his longtime support of the development, promotion and progress of arts in the world. Previous laureates have included SSF Patrons Dame Judi Dench and Sir Tom Stoppard. Others include David Hockney, Antony Gormley, John Gielgud, The Royal Court Young Writers Programme and Martin Scorsese. 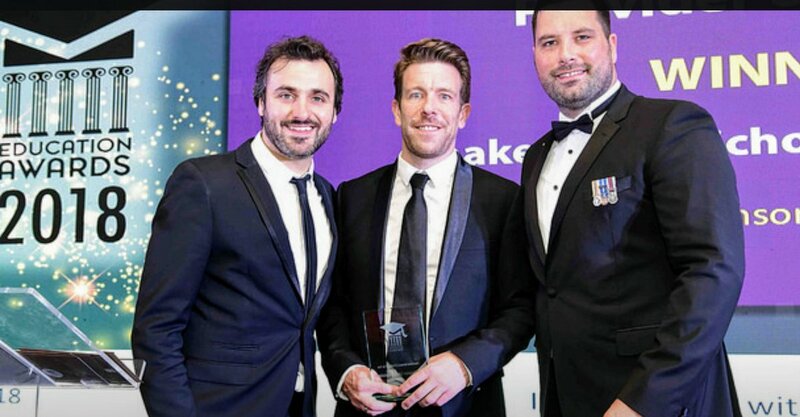 We are thrilled to have been named Education Resource Provider of the Year 2018 for our curriculum resources. Our inspiring schemes of work are created by teachers, for teachers and cover Key Stage 2 to GCSE. All schemes are linked to the National Curricula of England, Wales, Scotland and Northern Ireland. All profits from our curriculum resources helps young people in the UK become more confident and more ambitious by taking part in our annual Festival. 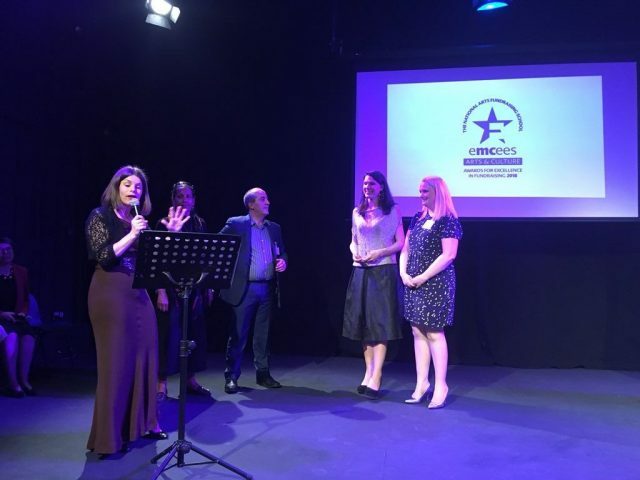 After a successful night at the Emcees Arts and Culture Awards for Excellence in Fundraising, we were delighted to come home with the trophy for ‘Best Donor Love’ example, which we were awarded for our Christmas card campaign. With every Christmas card we sent to our loyal supporters at the end of 2017, we enclosed a copy of a letter written by 10 year old Ellie, a Festival performer for whom the experience of standing up on stage had been life-changing.